Decorate your home with this beautiful circular wool area rug which is handwoven in hand-knotted technique. Due to hand-knotted weaving process technique, this area rug is highly durable. 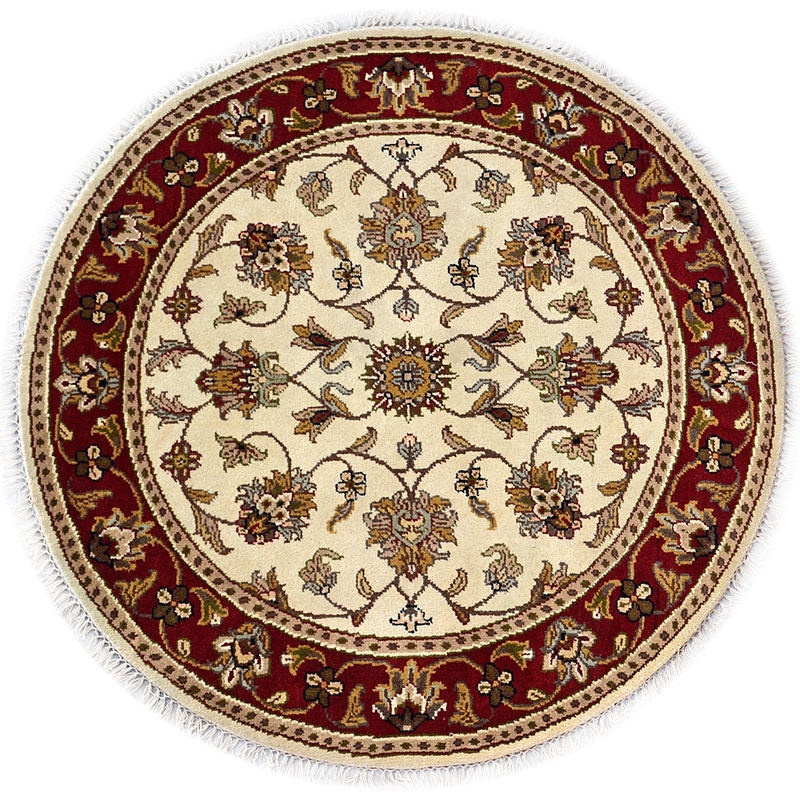 With our hard craftsmanship and skilled workers, our organization has been able to provide you an attractive range of New Zealand wool round area rug. We draw this design on the paper and pay great attention to each detail of design and patterns; while manufacturing this beautiful rug. This carpet is woven using natural dye and the combination of bright and smooth colors.